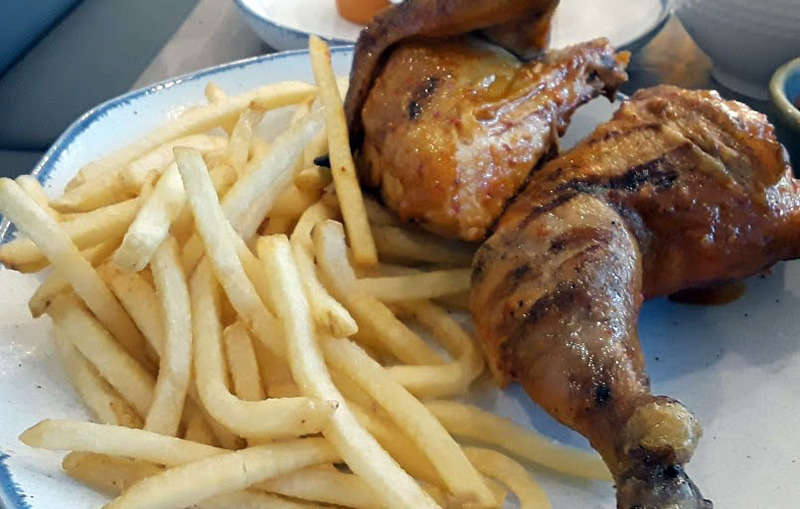 Chef Telmo Faria and partner Khalid Mushasa dreamed about opening a restaurant together that would bring Portugal’s beloved flame-grilled chicken to the Mission. 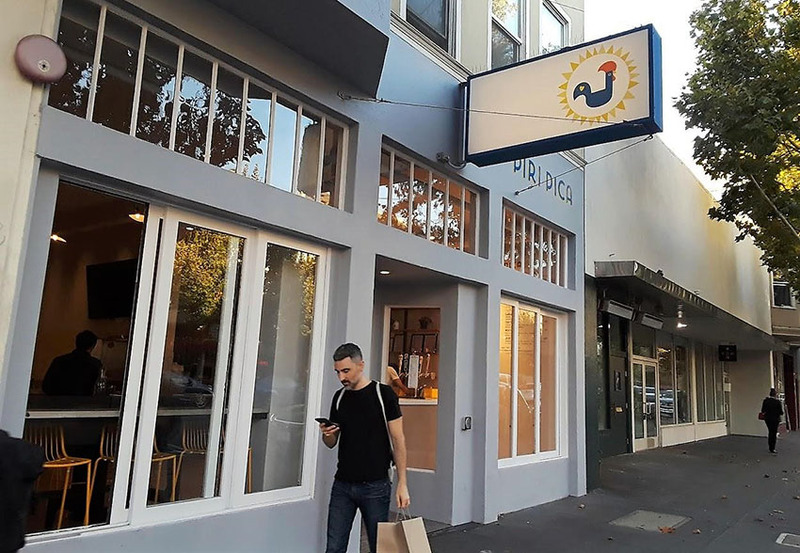 Chef Faria opened Uma Casa, in Noe Valley, his full-service ode to Portuguese cuisine, back in early 2017, and Piri Pica followed this year. Piri piri, Portugal’s gift to the world, is a traditional zesty hot sauce made with bird’s-eye chili peppers, originally from southeast Africa. 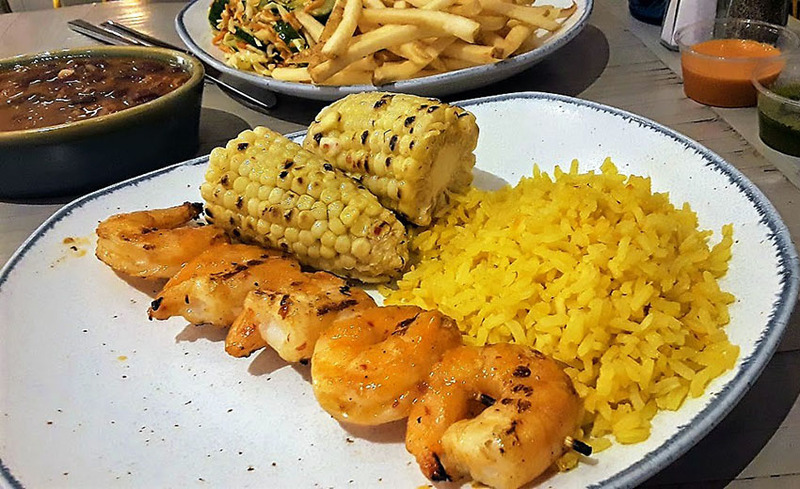 At Piri Pica, you can choose from the very hottest of their proprietary sauce blends for your chicken, the pica pica pica, or opt for the mild version or a lemon/herb blend. The space at this fast-casual place is bright and airy, with cartoony prints of Portuguese street scenes on the walls, and follows most of the other higher end/partially self-serve places that have opened around the Mission in the last few years: order at the counter, serve yourself water and silverware, and wait for your food to arrive at your table. And it does so at lightning speed, but never tastes like it had been sitting around. 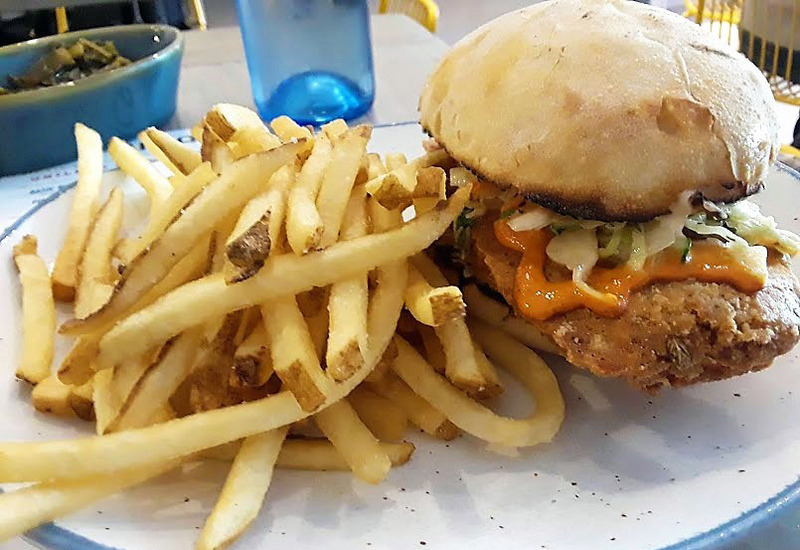 I was lucky enough to be able to attend the soft opening, where I got to try the fried chicken sandwich. The bird tasted fine, but the coating on the chicken was a bit tough. Since this was their first night, of course I knew I’d be giving them another chance. But look at them fries, eh? I’ve spent a little time in Portugal, and they do love their fried spuds. And the piri piri? Excellent. Portugal’s own Super Bock, a straight-up pale lager, makes an appearance on the short list of beers, along with a couple choices for wine. I very much liked the red blend from the homeland. The BF and I stopped by a month or so after the soft opening and got a half a bird, with the pica pica pica sauce. This is some good chicken, folks — probably the best I’ve had since Inka, the Peruvian place that lived on Mission near Bernal, turned into a pizza place. “Pica” literally means “sting,” and while the pica pica pica is purportedly their hottest (they warn you when you order it), we found it only mildly so, just enough to bring slight moisture to the nostrils. But it is very flavorful and, as you can see, it was well incorporated into the skin of the chicken. Fries were again perfect. 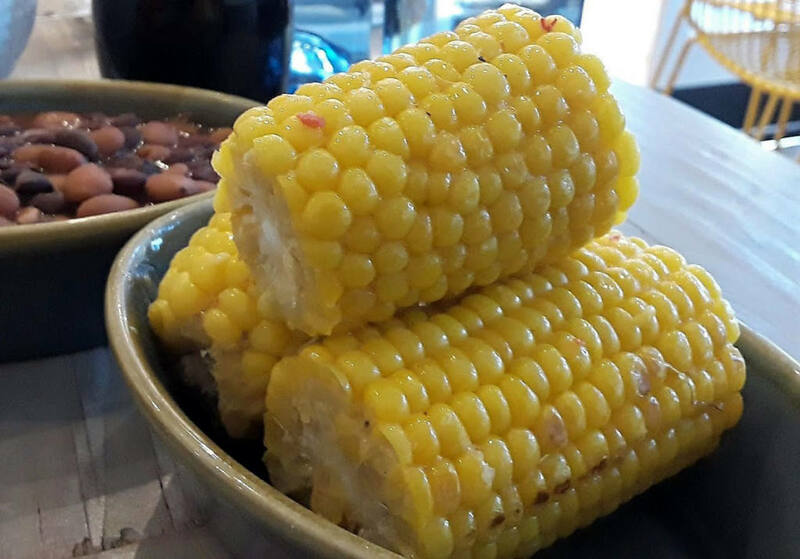 We also got an order of corn on the cob. We tried the chili beans as well, which were meaty and satisfying. A side of earthy braised collard greens on one visit was reminiscent of the African American standard, and showed the far-reaching roots of this cuisine. A wild-rice salad on another visit, while fresh and chewy, sadly suffered from under-seasoning. On another visit, I tried the couscous, which was rather bland. On our latest trip to Piri Pica, I left the chicken to the BF and got me some shrimps on a skewer. Piri pica shrimp & Saffron. The shrimps were tender and firm, succulent, and just as flavorful as the chicken. Alongside I ordered the saffron rice, which while quite slap-in-the-face-saffron-y, unfortunately also suffered from a lack of flavor. This seems to be a theme here. Thankfully, Piri Pica has a station of sauces with which you can doctor your food. One might argue that you should not have to do this at a restaurant, but there you have it. Again, the pica pica pica was our favorite, but they also have a mild version, and what seemed to be akin to a chimichurri was nice and tart, and went well on the rice. But so did the piri piri sauce. Really, piri piri goes on everything. Just remember that and you’ll do fine in life. I’m looking forward to the day Chef Faria bottles and sells it. Good thing we love it so, as the BF’s chicken was absolutely swimming in the stuff … But, ever too much of a good thing, eh? The side of slaw, however, needed both acid and salt. Thank god for that green sauce. Quarter chicken with fries and slaw. I think the only side I haven’t tried is the hummus, and there’s a chicken wrap and a full-sized green salad on the menu as well, that you can add chicken to. 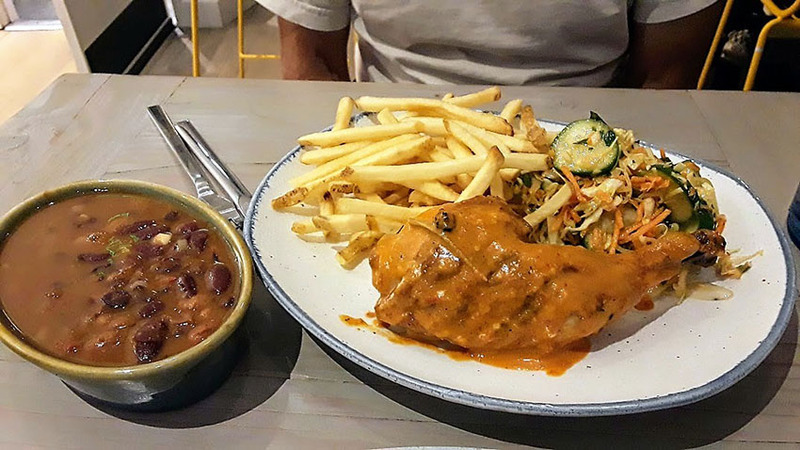 I’ve been to Uma Casa once, and it is obvious that Chef Faria is in love with the assertive flavors of this most varied cuisine. I am hopeful that what he has brought to his full-service restaurant, and the chicken at Piri Pica, will soon also translate to the side dishes. I’ve seen him in the kitchen on all three of my visits! Which is a hopeful sign. 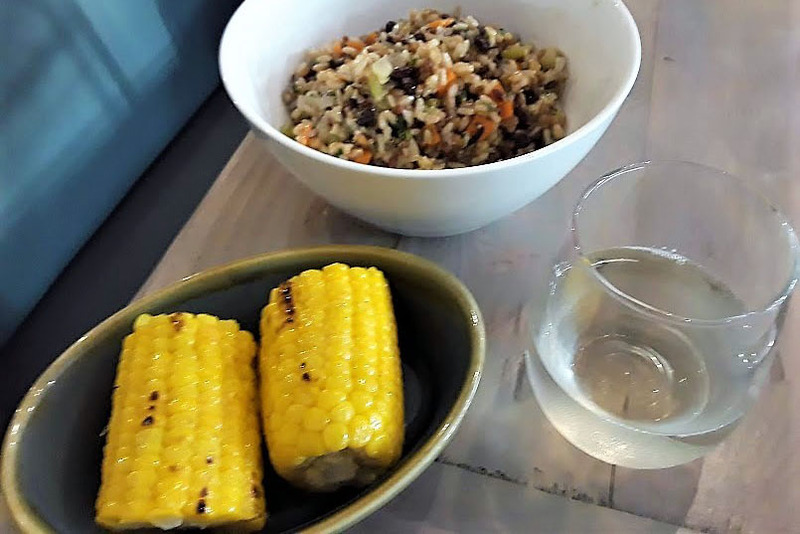 For now, I’d be happy to snag a whole chicken on my way home from work, bathe it in piri, order a mess of those corn cobs, and call it good.